Thanksgiving is just a few days away. This is the time of year that we focus on being content, thus cultivating gratefulness. 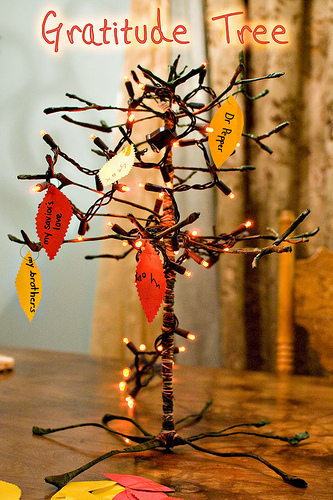 My guest blogger today, Elaine from thisgratefulmama tells us how to create a Grateful Tree with our family. I’m excited to share how our family has been recording our 59 days of gratitude. 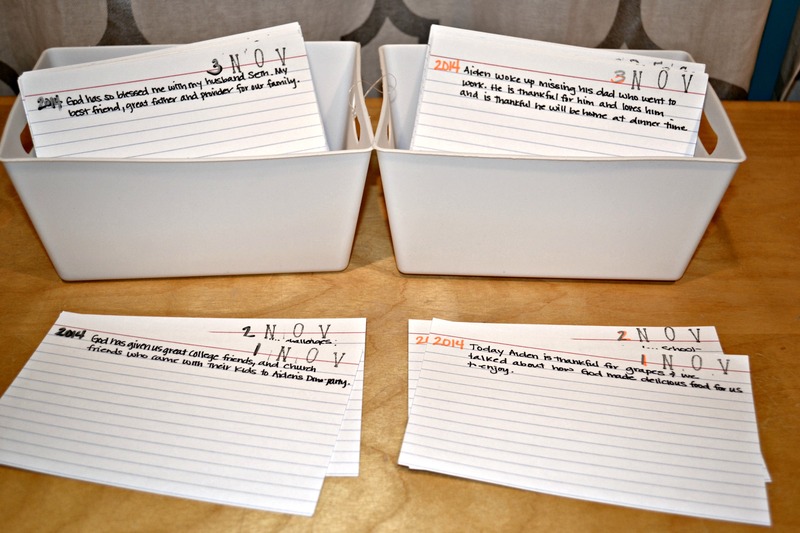 Last year, we used a gratitude calendar journal. This year, we chose to keep track of what we’re grateful for by writing on tags and hanging them on a tree. Inspired by these ideas, I started looking for a BIG, pre-lit tree. Preferably not a pine Christmas tree. I stumbled upon a series of pre-lit birch trees at Target and was able to buy a 4-foot version of this pre-lit LED birch tree (4 ft tree is currently out of stock). With a 50% off designer tag sale at Hobby Lobby on Black Friday, I snagged over 60 tags in a variety of designs for under $6. I used a silvers sharpie to write ‘Thankful’, ‘Blessed’ or ‘Grateful’ on the plain brown tags. Each day, I take time with our son to talk about what we are grateful for. We write the date and what each of us are grateful for that day on one of the tags. The tags are hung on the tree using ornament hooks. Most mornings and evenings, we incorporate what we’re grateful into our prayers to reinforce thanking God for all that we have. Daily taking time with our son to think about what we are grateful for, and hanging the tags on the tree has been fun! It has created a regular chance to talk about gratitude and thanksgiving. I’m glad we decided to continue until January. It also adds some joy to our entryway.